Abbey Fatica is a mom of four, a serial entrepreneur, an author, a success coach, and professional network marketer. 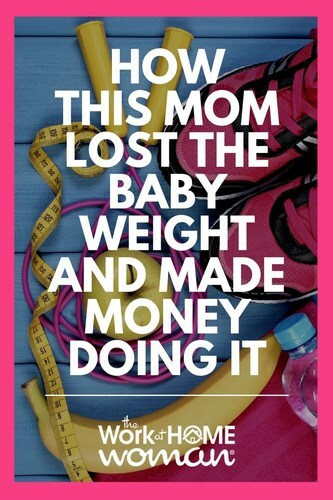 Read on to see how this mom found a way to lose the baby weight with Isagenix while making money at the same time. Tell us how you got involved with Isagenix. A few years ago, I was introduced to Isagenix by my friend Staci. I was looking for a way to get rid of the baby weight that I was holding onto from my third child. I was not interested in the business at the time because I had a busy online business and startup that I was working on, but I loved the products and the changes they had made to my body. Fast forward a year later after another pregnancy and birth of our fourth baby. I knew we were done having kids and it was high time to start taking care of myself and feeling comfortable in my own skin. I called Staci again and told her that I was ready to get started on the products for good this time because I knew how amazing they were and how they made me feel so great! I was also in a place career wise where I was looking for a new opportunity, so I decided to take a look at the compensation plan. 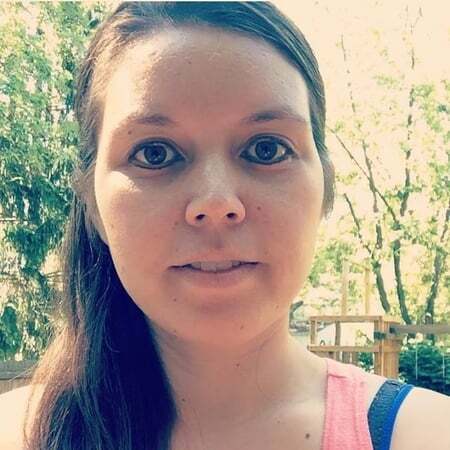 It was exactly what I was looking for: something that I could do part-time but make a full-time salary, work from home, and be able to interact with other moms who wanted the same thing I did. 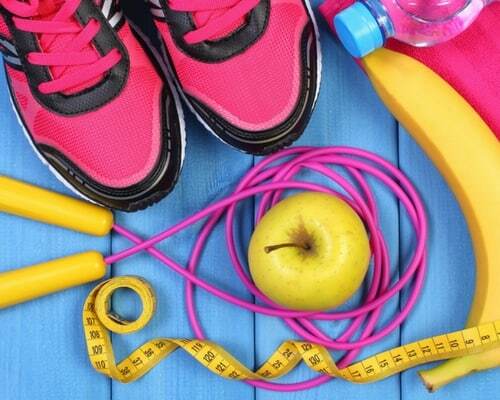 What makes Isagenix different from other direct sales companies? Isagenix is the first network marketing company that I have been with, but I did lots of research when I started because I didn’t want to host parties, keep inventory at my house, or have to do lots of events pulling me away from my kids. Isagenix is the perfect vehicle for me because I don’t have to do any of those things. I can work my business on my laptop and my smartphone and take my business anywhere there is service! I can even run my business while playing with my kids on the floor, during nap time, and after they have gone to bed at night. At this time with four small children, I really have no free time, so I literally run my business in the pockets of my day. Some days I have a two-hour block in the afternoon to sit down and focus. But most days, I schedule calls when I know I have a free 15-20 minutes and chat on the way to dance or when the kids are playing together quietly. It’s funny that I have a home office because I probably only spend 30 minutes throughout the day really sitting at my desk. Most of the time, I’m in the kitchen, playing on the floor, or sitting at the table working while my kids are playing with Play-Doh. I would say that I work 10-15 hours a week. I would say a five. The reason for this number is because my goal is to continue helping more moms create a lifestyle of time and financial freedom. There are billions of people in the world, and I’ve only just begun to scratch the surface of people to talk to. I will most likely always be a five because I can always be working on myself and learning new things along the way. I am always learning, so to be a ten would mean I’m done, and I don’t ever want to be done helping others achieve their goals. What has been your biggest business struggle as a direct sales consultant? Learning the industry has been my biggest challenge since is the first network marketing company I’ve joined. I am still learning how to approach people and really connect with people. In the beginning, I was trying to get people, and then I realized that no one wants to be GOTTEN. No one wants to be sold to, but they do want to buy things that they need. So I really had to take a step back and find out what people really needed and then provide them with a solution that would fit for them. What advice would you give to a new consultant starting out? To believe in yourself and constantly remember why you started. If earning an income from Isagenix to help out your family is your reason then that’s great! Share your excitement with the people you are talking to because if you believe that this is the vehicle that will set you free then so will that person. Whatever it is that you feel is right for you, then share that with your new people as well because ultimately they are buying you! As a mom of four, how do you manage all of your personal and business activities? A daily calendar is my sanity saver. I’m talking about one that I can look at, touch, color coordinated and change without using my phone. While I do use iCalendar as well, I like my At-A-Glance daily calendar so that I can see everything laid out for the week. I plan my weeks out on Sunday evenings and set aside blocks of time where it is just family time, Isagenix times, workout times, flex times and all our appointments. This has been a game changer. No longer am I just flying by the seat of my pants. I learned that if you want to be successful, then you have the habits of a successful person. Those people schedule when they eat, sleep, meditate, read, shop, etc.”, but if it works for them then it can work for me! On those “don’t feel like it days,” what motivates you to keep going? Remembering the people that I have helped and those that I am helping right now. They could have gone to any other company, tried any other product, worked with another associate, but they chose to work with me, and I am so appreciative and grateful of that decision that it just fuels me to keep on going! Thanks to Abbey Fatica for sharing her story! Is Network Marketing a Legit Work From Home Opportunity? I love this perspective! Thanks for sharing!